Should the law be changed to give police the powers to seize suspected dogs and collect their DNA to help tackle attacks on sheep? Dog attacks on livestock can cost farmers thousands of pounds. So should the law be changed to give police the powers to seize suspected dogs and collect their DNA, to help tackle the problem? 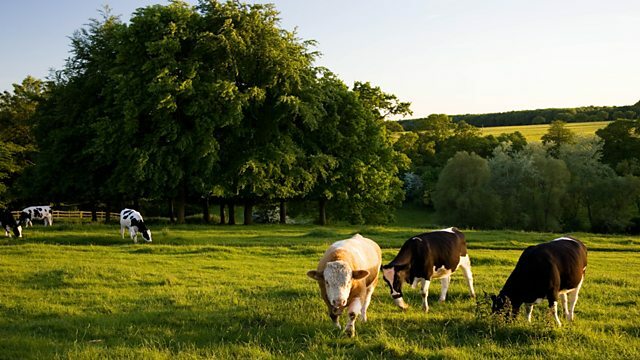 We hear from a rural crime expert who is lobbying Government to update the 1953 Protection of Livestock Act. Around one agricultural worker is taking their own life every week, according to new figures compiled by the BBC. It suggests the suicide rate among farmers is one of the highest for any occupation in the UK. Farming charities are warning rural isolation, a lack of tailored support and the pressures of working the land mean mental health is the biggest hidden problem facing the industry. We speak to farmers who are struggling and hear what it's like to be left behind. Farmers are under pressure to reduce their impact on climate change, and for some, cutting the amount of methane emitted by their cows will be crucial. We visit a farm in Lancashire where they're trialling a new feed additive made with garlic and citrus which has cut methane emissions by 30%. And the Forestry Commission is celebrating its 100th birthday. It was founded to replenish the nation's timber supplies after the First World War and is still the largest public land manager in the UK. To mark its centenary, wildlife presenter Michaela Strachan is helping launch the biggest ever survey of woodland wildlife which asks members of the public to use an app to help build up a nationwide database.